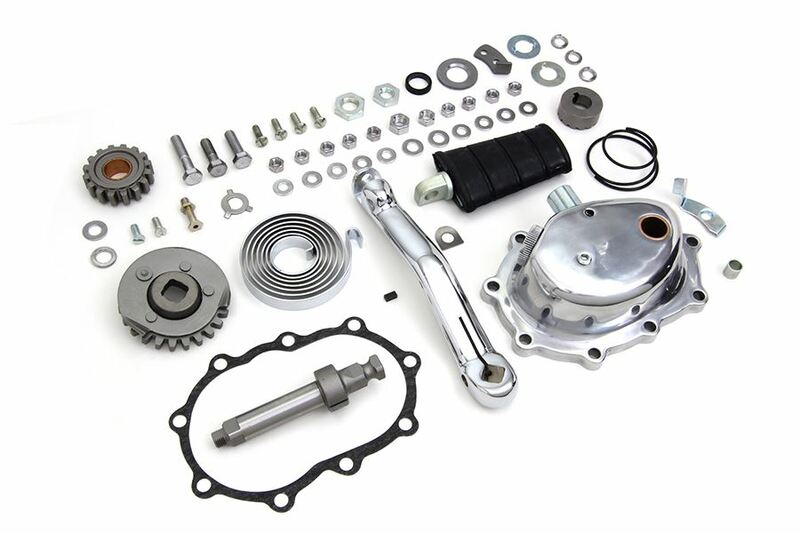 Polished kick starter conversion kit converts electric start to kick starter. Kit includes kick cover, arm, gears and all hardware to make conversion. 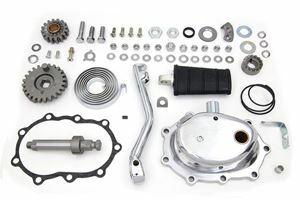 V-Twin Complete Kick Starter Conversion Kit, converts electric start 1965-1986 Big Twin 4-Speed to kick start or for replacement on 1936 - 1986 models with kick start. 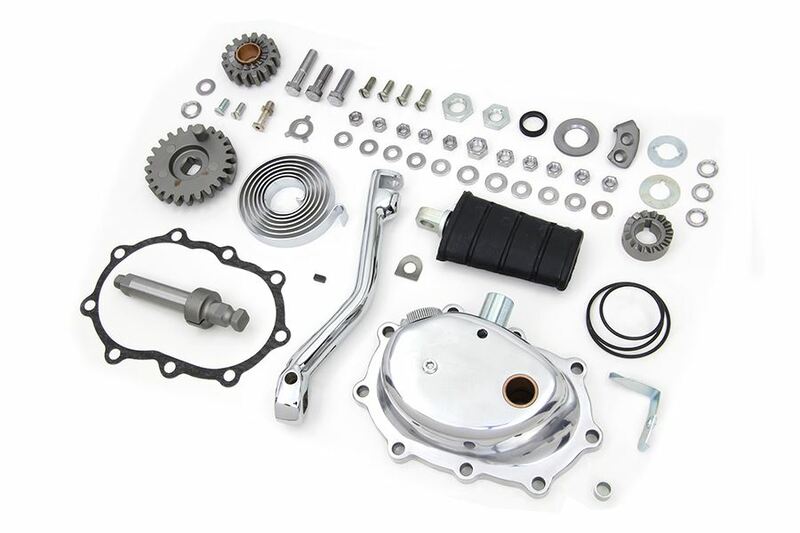 Kit Includes a reinforced kick cover, chrome arm and all gears and Hardware to make conversion complete. 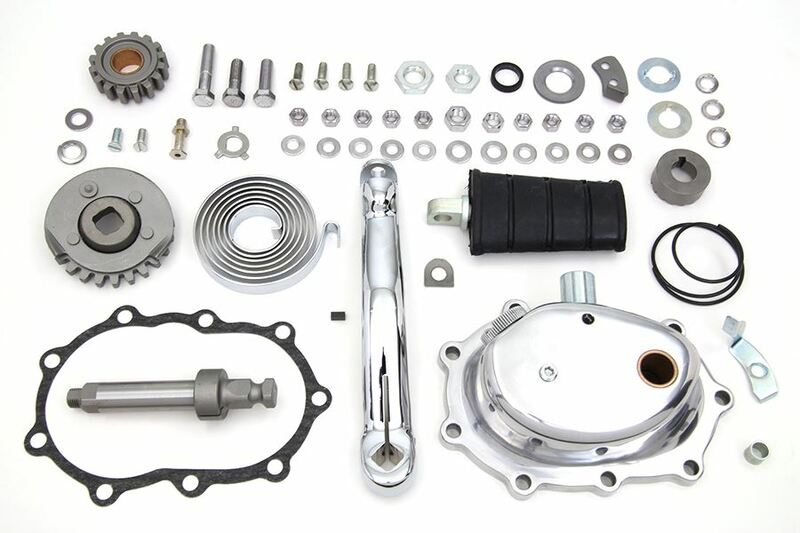 Kit available with a polished or chrome plated kicker cover. When Installing on any 1980 - 1985 4-speeds, VT170101 bearing retainer, which incorporates a kick stop built in, is required.